Some people call him 'Dear Leader'. Other people call him 'Supreme Leader'. And yet even more people call him such things as, 'Our Father', 'The General', or 'Generalissimo'. But as for me on the other hand, well, all I can say about this 'Hero of the Democratic People's Republic of Korea', is that he was the main focus of this 51 minute documentary made in 2004. In this 'Biography Channel Special', we get to find out about the one time head-honcho of North Korea, Kim Jong-il. As per usual, this narrator driven documentary is complemented with archival footage, stock photography, as well as one on one pre-recorded interviews with people who knew of this man's life. For example, there's the Former CIA Director: Bruce Klingner. The Noted Physiatrist: Jerrold Post: An Editor on a Korean Newspaper: Song Kwang Joo. Three-Ex Korean Refugees: Seo Jae-Pyong, Lee Ae Ran, and Lee Young. Kim's Japanese Cook: Kenji Kujimoto. Two Performers: Choi Eun Hee and Shun Young Hee. Plus numerous Advisors, including: Marcus Nolan, Selig Harrison, Michael Mazlan, Masao Okanogi, Donald Gregg, Cheong Seong Chang, and Andrew Lankov. Who was Kim Il-sung? 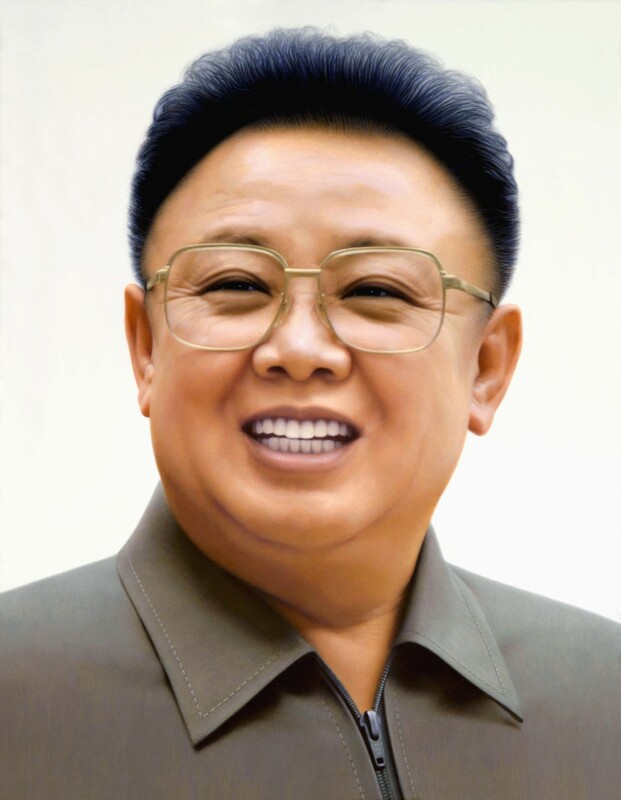 He was Kim Jong-il's revolutionary father, who founded the state of North Korea, and was perceived by his people as being like a God amongst men. Was Kim anything like him at all? Nah! Not really. And this was one the main reasons why his true origins were fabricated in the press. Making Kim appear like some sort of 'academic wunderkind' who would one day follow in his proud fathers footsteps. What about the rest of his family then? Unfortunately, both Kim's Mother and younger brother died under very mysterious circumstances. So... errr... no comment. What did Kim do after his education? 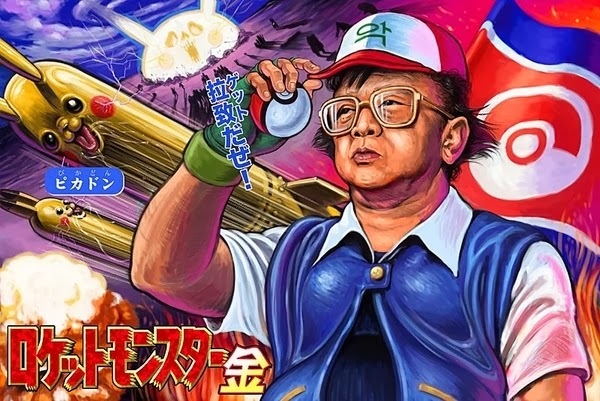 Being a pretty mean film-fan, Kim took it upon himself to direct movies that would promote his fathers country. Going so far as to kidnap actors to star in his productions. What? Seriously? Yeah. Straight up. Furthermore, he was a bit of a ladies man who had his own personal harem, a taste for expensive cognac, plus a personal life that was rather chequered to say the least. Care of explain? No. Not particularly. But let's just say that he had many affairs, many mistresses, many children, and only one wife. What happened in 1994? Kim's pappy passed away, paving the way for him to rise to supreme power. Oh! Was he any good? Well, on the one hand he embraced capitalism. Whilst, on the other hand, his people faced a famine. So... again... no comment. Fair enough. So what chances were there of a unified Korea under Kim's reign? Now things started to look promising when Clinton was in the White House, however, once Bush took his place... no... I'm afraid any chance of peace flew out the window. Damn! Why was that then? Simply put, old 'W' didn't like Kim and his communist leanings, and this prompted Mister Korea to order his gigantic army to stock-pile and develop a grand nuclear capability. And on that note, folks, let's me just say 'May the folly of the father not fall too hard upon the sins of the son'. Hint-Hint! 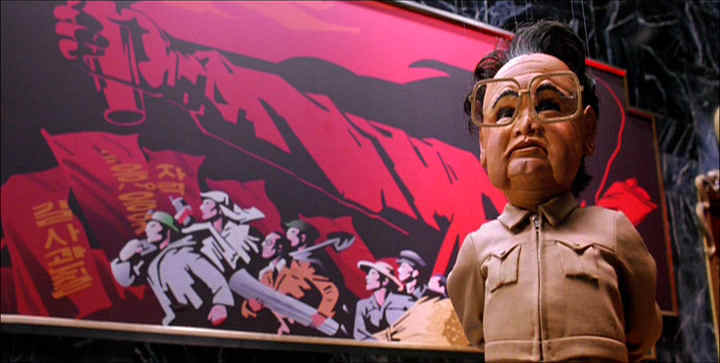 Like many of my generation, I'm sure that some of you out there looked upon Kim Jong-il as being like the puppet who played him in the Trey Parker and Matt Stone comedy, 'Team America'. You know what I mean by this, don't you folks? Him being some sort of pug-faced little brat that kept on fighting whoever crossed his path for the sake of ego and larks. But he's not you know. Not totally anyway. After watching this episode of 'Biography', Kim reminds me of someone who was spoilt as a child, pampered through his adolescence, and then forced into a position of power because that's what his father wanted him to become. Listen. Just try and put yourself in Kim's shoes for a moment. You're a star. A really-really big star. And your Daddy dearest is seen as a God by your fellow countrymen. Furthermore, your mother pegged it when you were a brat, it's quite possible you killed your own brother as a kid, and then, after fulfilling all of your fantasies prior to reaching your prime, your papa kicks the bucket and you've got to now take his rightful place. Well, come on. How would you behave if you were brought up in this environment? All God-like and devout like Mahatma Gandhi perhaps? Ha! Don't make me laugh! Course you'd be a bit of an egotistical maniac with more clout than common sense. It only stands to reason, doesn't it? Anyway. That's enough of my 'yadda-yadda', dear reader. Here. This seems like a pretty good time for some Kim Jong-facts. (1) Kim Jong-il was born on the same day as the Russian Judo champion, Vitali Kuznetsov, was born -- the 16th of February, 1941. Plus he passed away on the same day that the Venezuelan journalist, Eva Ekvall, died -- the 17th of December, 2011. Also, it has been said that his birth was prophesied by a swallow, followed by a double rainbow and a new star in the heavens. (2) By his own accord, Kim spread a rumor across North Korea that he could control the weather with his moods, as if he was some sort of a magician. (3) Without putting too finer point on it, Kim has got a very large family. He's had one wife, Kim Young-sook, from 1974 to 2011. Three domestic partner's: Song Hye-rim, from 1968 to 2002; Ko Young-hee, from 1977 to 2004; plus Kim Ok, from 2004 to 2011. As well as five children: Kim Sul-song, Kim Jong-nam, Kim Jong-chul, Kim Jong-un, and Kim Yo-jong. (4) Some of Kim's all time favorite films included 'Friday the 13th', 'Godzilla', 'Rambo', and 'The Eternal Bosom of Hot Love'. 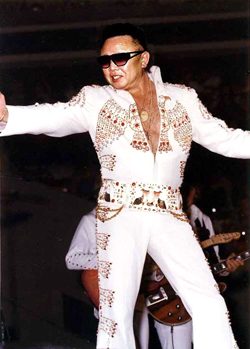 Plus he was also a big fan of Elvis Presley, Bruce Lee, and Elizabeth Taylor, too. (5) Being only 5ft 2in tall, it has been suggested that Kim wore flats in his shoes and sported a bouffant hairstyle, so he could make himself look taller than he was. (6) When he was only five years old, Kim allegedly killed his younger brother, Kim Shu-ra, by drowning him in the family swimming pool. Nothing was ever proven though. (7) There's also some controversy surrounding how his mother, Kim Jong-suk, passed away. Maybe she died in childbirth. Or maybe she died of a gunshot wound. (8) Both Kim and his late father had a great fear of flying, and that was why they always traveled everywhere by train. Now before I bugger off to God knows were, let me just say that this episode of 'Biography' was a pretty good one to watch. The roll-call all seemed to know what they were talking about. The presentation was up to its normal high-standards. And the subject matter was so engrossing to sit through, a part of me wants to sing like a madman. What do you say to that Kimmy? Sound like a plan?